Studies have shown that in general, people on the web do not read content word for word; instead, they quickly scan pages. From the point of view of search engine optimization (SEO), as well as user experience (UX), hyperlinks should concisely describe the content that you are linking to, to jump out at the user and serve as anchor points for scanning. Your links should rarely say “click here,” “learn more,” and so on—that conceals what a user is clicking on and provides almost no SEO value. It can also be helpful to place your links at the end of a sentence. This way, a user understands the full thought you are trying to convey before having to decide if they want to visit the link. Here’s a breakdown of some more tips for maximizing SEO and enhancing UX with your hyperlinks. The part of the text that is hyperlinked will be given more weight in search engine rankings than the rest of the text. This will give some benefit to the page containing the link, but it will help the page that is linked to even more. If an external website links to your site, the same rules apply. The more visitors and inward-pointing links a site has, the more the entity is considered an authority, and the more SEO value a link from their site to another has. Think about what words people may be searching that could be used to direct them to your content—those are the keywords to place into your web content, especially page titles, headlines and links. Get into Google Quick Answers. Google Quick Answers are boxes that appear at the top of a Google search after someone asks Google a question. Getting your content into a Quick Answer box can significantly increase traffic to your site. You can enhance your chances of appearing there by phrasing content in a way that answers a specific question. You could also phrase a link as a question or answer and then link to your own content. Not optimized: Smart Cities, a course on using smart technology, features Alyson Laura, as she discusses smart cities with two guests. However, make sure you don’t put in extra keywords where they don’t belong—this is called “keyword stuffing,” and you will get the opposite results that you are looking for. Keep a natural flow to your content, and use keywords when they are appropriate. Basically, what Google says is key to great SEO is to create great content and an overall great user experience. Make choices that are best for your site. Google does not give away all its secrets, and what is best from a UX standpoint depends on many factors. Even the experts disagree on questions such as “Should I include just the noun in the hyperlink, or the noun and the verb, or the entire sentence?” Here are my thoughts as we look at a few scenarios. After you finish your first class, review Smart Cities to learn even more. You’ll be learning in no time if you purchase Smart Cities. For a list of resources on the page, it is often best to use the full title of the page you are linking to and to link the entire title. From a user perspective, you may also wish to describe what the page does, if it is not in the page title. Such choices depends on the design of your site (consistency is important), how many links are on the page and how important it is for the user to see the link. Often, rather than integrating the link into the body copy, you can make it stand out to your user by creating a button over the link. You don’t need to be an email geek to know that email marketing isn’t dead. In fact, email marketing has an average ROI of 3,800 percent. Whether you’re working on a one-off email or a nurture campaign, keep these tips in mind for a better email experience. Remember that your email is being sent to a fellow human being, and write accordingly. Write in a conversational, trustworthy and upbeat tone. Be concise! 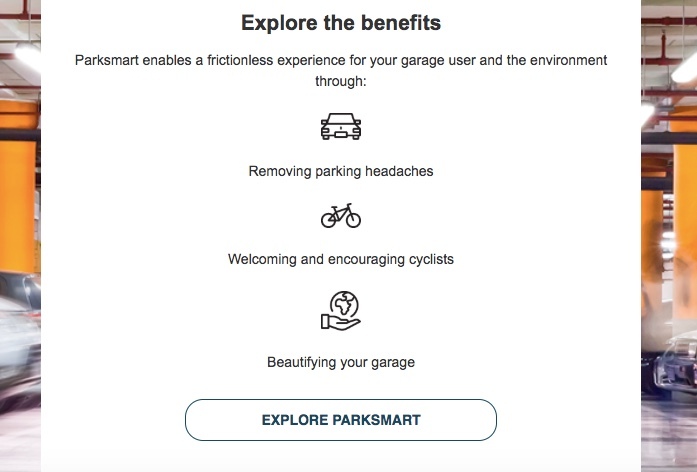 Original copy: The LEED Steering Committee recently added select Parksmart measures to the LEED innovation catalog. Edited copy: Boost your LEED project score with Parksmart. An email is not a webpage. The copy should serve as a teaser and encourage the reader to take action. No one wants to read long paragraphs of text. Use icons or bullets to break down information so it’s easier to read, especially for viewing on mobile. What is the one takeaway of the email? What is it that you hope your audience will do with the information? Don’t be afraid to get creative with your CTA either. Look at your own inbox to see emails that stand out to you. Visit Really Good Emails for some email inspiration. Don’t be afraid to test! Every email is a chance to learn something new about your audience. Test your send time, subject line or “from” name. As part of the USGBC marketing and communications team, our design team works on many kinds of projects, from brand identity to article images to print collateral. Not content to rest on their current expertise, they are constantly seeking out what’s new in the design world and incorporating ideas from the wider world into their projects. I like Fast Co. Design. They send out a daily newsletter focused on articles relating to design and business. They cover lots of different topics and industries, which gives me the opportunity to look at our work from a different perspective. Brand New is a division of UnderConsideration, chronicling and providing opinions on corporate and brand identity work. The reason I love the “reviewed” section of the blog is that they cover current design trends and show what the updates look like. It’s a really great way for me to stay up to date on other branding out there that I may not otherwise be exposed to. Resource Cards is a growing list of free resources that help creatives with their next project. I love this because it pools tons of resources into a really easy-to-use page. I have a few go-to free sites in my brain, but when I am struggling to find something, I know I can go to resourcecards.com and find some alternatives! When creating new brand identities, developing the color palette is my favorite part. I love that Coolors presents the colors full width, with most of the necessary color values calculated.